If you're looking for a way to enjoy some of your favorite, classic foods without ruining your diet, some simple ingredient swaps can make these dishes guilt-free. One trick to instantly make your meals healthier is to replace ground beef with turkey. 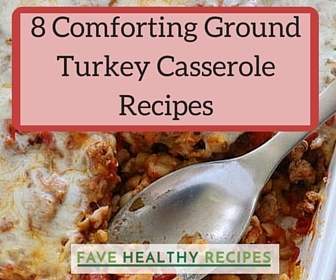 To give you some easy dinner ideas, we've developed a list of 8 Comforting Ground Turkey Casserole Recipes, which lighten up some familiar dishes from your childhood without getting rid of that hearty, delicious taste. Turkey is one of the best comfort foods to indulge in, because of its soft texture and juicy flavor. The fact that it's also leaner than most types of meat is an added bonus. Besides ground turkey, these casserole recipes also include other healthy ingredients, such as low-fat cheese, Greek yogurt, and fresh veggies. This way, you can enjoy a filling, savory meal without loading up on any unnecessary calories. 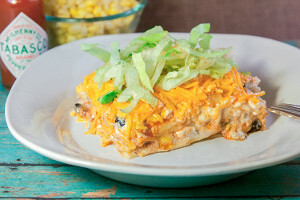 This list includes a variety of traditional recipes, such as Turkey Sausage Casserole and Cheesy Creole Shepherd's Pie, and unique recipes with a twist, such as Skinny Mexican Tortilla Casserole and Easy Macaroni Casserole. No matter what kind of food you're craving, there should be at least one recipe on this list that will satisfy your appetite. After a long day, no one really wants to spend much effort on dinner, so it's nice to be able to simply pop a casserole in the oven. All of these easy dinner ideas are perfect for that sort of occasion. If you make one of these delicious meals, you will be able to spend more time at the dinner table with your family and less time slaving away in the kitchen. How could you possibly resist that offer? Nothing says "home" like a warm, freshly baked casserole. These easy dinner ideas will provide that comforting, wholesome taste of your mama's kitchen, and help you maintain your figure. 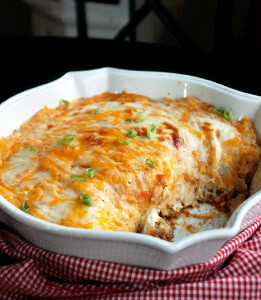 If you like these ground turkey casseroles, you'll love this collection of 23 Ground Turkey Recipes To Tempt You. Jazz up some of your favorite classic casseroles with some of these unique recipes. We're willing to bet you've never tasted anything like these before. For even more delicious casserole recipes, download our free eCookbook, 18 Easy and Healthy Casserole Recipes.